Exchange OST Backup to PST application is used to recover data from corrupt OST file in Offline Mode and converts them into PST file extension in order to get back the lost data. Exchange OST Location gives user option to get OST file data into a new PST file and create a new PST file automatically when the previous PST contain 2GB size data of OST. Exchange OST Location to PST software is a expert solution with professional approach when OST file has become unusable due to exchange server crash, virus attack, suddenly system shutdown and user account deletion. 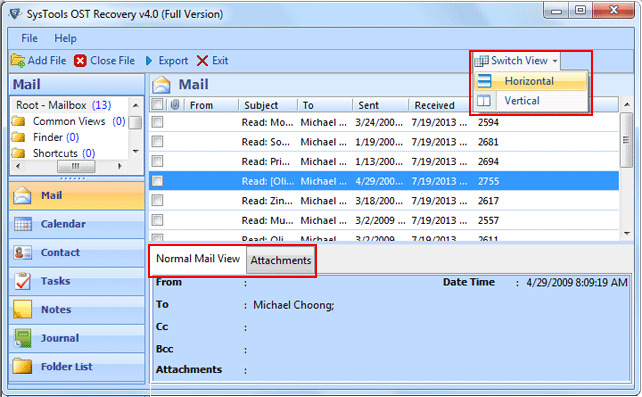 It helps the user to extract all available email data from usable OST file. It converts all emails, contacts, tasks, notes, calendar, meetings, and journal etc. To OST to PST Free Download, it supports Exchange server 5.0, 5.5, 2000, 2007, 20003, and 2010 and MS Outlook 98, 2000, 2003, 2007. Free demo version also available. The demo version lets the user experience the process of extracting email items from unusable OST file and view recovered items. You can order for full version of our software Exchange OST Location to outlook at just $99 for the personal license.For more info-: http://www.osttopstconverter.co.